They are 100% professionals. They are absolutely amazing. As I said, they are super professional. I just can't say enough. I wish I had another house, because I'd have them do that one too. They provided good quality work at a good price. The people that I dealt with stood out for me. The experience, reliability, and professionalism of Bojan really stood out for me. 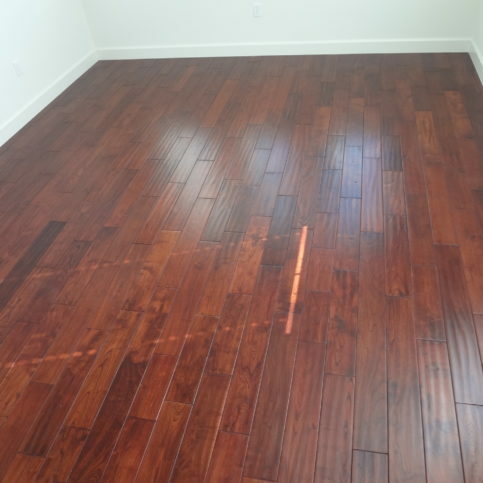 European Hardwood Floors installs a variety of flooring products for residential clients in Contra Costa, Alameda, Sonoma, Marin and Napa Counties. 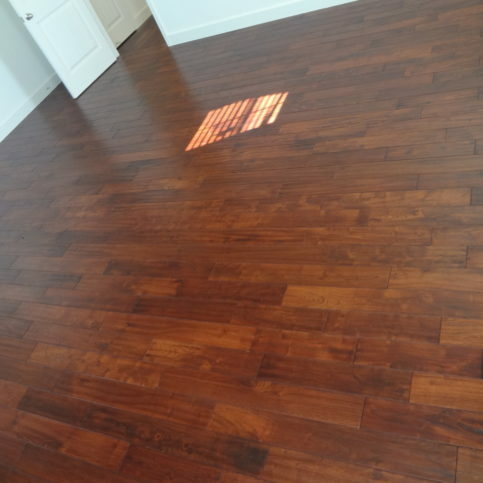 The company has the training and equipment to install everything from hardwood flooring and carpet to vinyl composition and luxury vinyl tile, and it also utilizes its sanding, staining, and finishing capabilities to restore old or damaged floors. 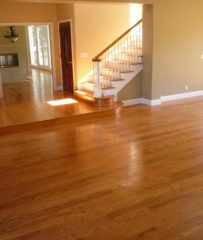 European Hardwood Floors refinished this hardwood floor and added new hardwood as well. European Hardwood Floors has been installing flooring products for residential clients in Contra Costa, Alameda, Sonoma, Marin and Napa Counties since 1998. 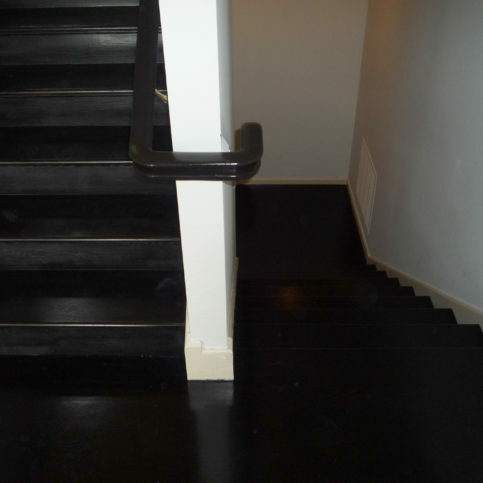 The company has the in-house capabilities to install everything from hardwood flooring and carpet to vinyl composition and luxury vinyl tile, and it also has the training and equipment to sand, stain, and finish old or damaged floors. If you’re planning to install hardwood flooring in your home, it’s best to leave the job to a professional. 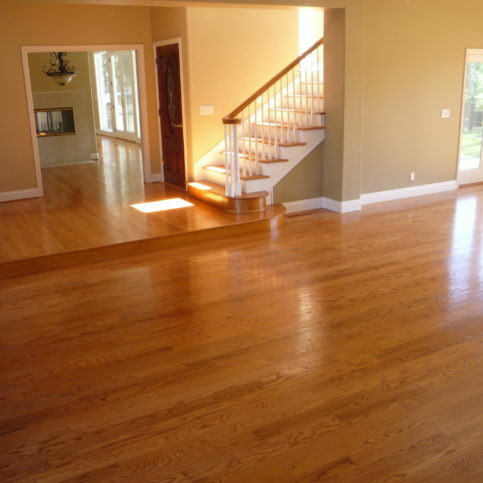 You might think installing a new hardwood floor isn’t that difficult, but unless you’re a seasoned DIYer with specific experience, you might be taking on more than you can handle. Many home improvement projects are possible to complete on your own, but hardwood flooring installation can be an extensive process that leads to expensive mistakes if you aren’t careful. You’ll definitely pay more for a professional installation than if you did it yourself, but installation costs are usually far less than product costs. Many installers can be sensitive to cost, offering a variety of services to fit specific needs without blowing up their clients’ budgets. And professional installers are much less likely to make major mistakes or waste products. If there’s ever a problem, they’ll make it right without making it your financial problem. Additionally, installers may be able to save you money over big-box retailers, whether they sell products or can simply direct you to better sources. “Some people like to shop online with big flooring suppliers or corporate flooring companies, but I always recommend checking out smaller companies because they often have better deals and prices,” adds Bojan Milosevic, owner of European Hardwood Floors in Pleasant Hill. You’ll get a better installation. Inexperienced installation can jeopardize the final outcome. Whether your job has uneven subflooring, a complicated layout, tricky cuts or any other number of challenges unique to your home and project, a licensed, experienced installer has likely seen it before and knows how to handle it. Few DIY disasters are more frustrating than those that cost you a lot of money or waste expensive materials. Quality installation means an end product that stays beautiful for years to come. You’ll have someone to call in case of a problem. Cupping, uneven installation, squeaky boards, strange gaps—if you install your own floor, it’s up to you to fix these problems. Licensed, experienced contractors will do the job right and stand by their work. If you hire a quality contractor, their installation warranties will protect you against installation flaws, and they may also be able to help you if there’s a product flaw. Q: How long will it take to finish my flooring project? A: We can get the job done within two weeks. It usually takes about a week for the flooring to be delivered after it’s ordered, and it needs to acclimate for a few days before we can install it. Most of the time, a typical job of 1,000 square feet will take three or four days, including tear-out and installation. If it’s a big job or a tight deadline, we’ll use extra installers to get it done faster. Q: Will you deliver my flooring? A: Most of the time, we’re able to pick up products from suppliers and take care of the delivery, which can save you hundreds of dollars. Deliveries are free if they’re done through us. Q: Can you work with my schedule? A: Yes. We always try to schedule our work to meet our clients’ needs. For example, a lot of people want to get their jobs done while they’re on vacation or when their kids are at school. Q: Can you work on weekends? A: Yes, our installation crew works seven days a week by appointment. That way, we don’t have to let a half-finished job sit over the weekend and you can be home if you want to see the process. Q: Will your sanding process leave my house filled with dust? A: No. We recently upgraded our equipment to provide dustless sanding, which greatly reduces the amount of dust we generate during the sanding process. Q: Should I choose a water-based product or an oil-based product for refinishing sanded floors? A: We recommend water-based products because they have less VOCs and they’re more durable today than ever before. Bojan Milosevic is owner of European Hardwood Floors, a Diamond Certified company. He can be reached at (415) 350-4364 or by email. A: My first job after moving to the U.S. was at Burger King. My hourly wage was $4.75, and I was the happiest kid ever when I got my first check. A: I have two: Rocco’s Ristorante Pizzeria and Opa! Authentic Greek Cuisine, both of which are in Walnut Creek. A: An early bird. I’m usually up at 6am just to get some things done before I go to work. A: I would love to explore Europe a little more. There are a lot of countries that my wife and I haven’t been to yet. “Where is it made?” Since different countries have different regulations for harvesting and manufacturing flooring materials, it’s important to find out where flooring products come from. For instance, while the United States has strict regulations regarding sustainability and safety, China’s lack of regulation leaves room for unsustainable harvesting practices and unsound manufacturing methods. In fact, some Chinese-made flooring products have been known to off-gas toxic fumes, due to the materials used in manufacturing. To prevent such health hazards, it’s best to choose a flooring product from a well-regulated region. “What kind of finish does it have?” There are different types of finishes used on hardwood flooring, but the best by far is aluminum oxide. 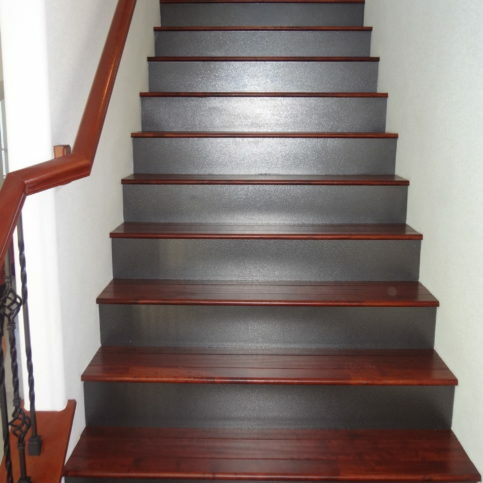 An aluminum oxide finish gives the hardwood a top layer of protection against scratches, stains, fading and oxidation. The finish is layered on each board, with more layers representing better quality. Most premium wood floor products have five to 10 coats. “How long is the acclimation period?” Just about every hardwood flooring product needs time to acclimate to its new environment—usually about a week. Failing to give new flooring materials time to acclimate before installation may result in expansion or contraction after installation, so don’t neglect this crucial waiting period. 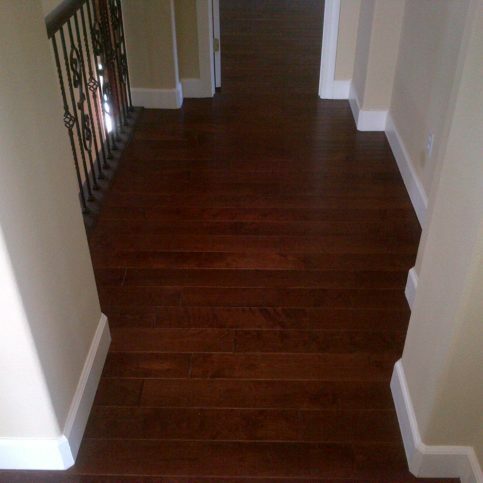 “What kind of maintenance is required?” Hardwood flooring products vary significantly in terms of maintenance needs. For example, most engineered hardwood flooring products are virtually maintenance-free, whereas solid hardwood flooring requires regular cleaning and re-sealing because it’s a natural product. Prior to choosing a flooring product, find out what kind of maintenance it requires and determine whether you’re prepared to follow through with that. PLEASANT HILL — Host, Sarah Rutan: When replacing your home’s hardwood floors, take the time to choose a quality product that meets your needs. Today we’re in Pleasant Hill with Diamond Certified Expert Contributor Bojan Milosevic of European Hardwood Floors to learn more. Diamond Certified Expert Contributor, Bojan Milosevic: When choosing the hardwood floors for your home, your condo, or your place, please visit the local store, making sure that you select the floors that you really like. And they can feel the floors and hold it in their hands. Most of the people, they like to step on the floors to feel it, how it feels with their bare feet. Please do that as well. Make sure you get enough information where the floors are made, how they’re made, how many aluminum oxide floors they have on top, how much they apply on it, as well as the insulation, acclimation for the flooring as well. And be aware that some of the unfinished and prefinished floors, they come in different widths, and different sizes as well. European Hardwood Floors : Average 9.7 out of 10 based on 15 unique customer surveys of customer satisfaction. They took the job and did it. I didn't have to do anything. The quality of the craftsmanship, and their communication stood out for me. They did what they promised they would do. They provided quality workmanship for a great price. I started out with a small project, and after I saw the quality of the work, I ended up having them do the whole house. I would highly recommend them and I have. Bojan provided great customer service, and he is a real gentleman. I wanted to have a barbeque for the workers, but not all of them could come, so I gave a case of wine to Bojan free of charge, because I own a winery. I had to twist his arm to take the wine. He wouldn't even take half of it. You do not meet contractors like this anymore. The customer service was excellent. They are the most knowledgeable about the products and installation. Bojan went over and above what he needed to do. I needed a special piece of wood, and because of time constraints, he had it shipped to his home. They are very knowledgeable and friendly. When I needed advice about something, they were very helpful. I would tell them the quality of work is very good. They deserve the highest recommendation in the world. They are truly craftsmen and quality craftsmen at that. I wouldn't use anyone else. They even drove to our house in Clearlake, did the work far into the night, and then drove back. They went above and beyond. They are true European craftsmen. Bojan was very friendly, helpful, and very busy. I would say Bojan's interaction with his clients stands out for me. They were very professional, on time, friendly, and they did a great job. It was a very pleasant experience. They were very hard workers. They didn't stop for a minute. They barely stopped for lunch. They were very conscientious about getting the job done on time. I really liked dealing with the representative, Bojan. He was very experienced and professional. I have been in the construction business for many years. The two gentlemen were on time and cleaned up after themselves. They didn't mess around. They got in and got it done.